It isn’t something new for the famed franchise that most of us have come to love, but any official representative’s hint towards having a cooperative mode in the latest edition of Call of Duty is definitely newsworthy. Previously, Modern Warfare 2 and Modern Warfare 3 had a version of a cooperative mode called Spec Ops with provided users with standalone missions for 1 or 2 players together which they played together having a single objective. The Survival Mode of Modern Warfare 3 was also built on the same lines when users had to survive the onslaught of enemies together. 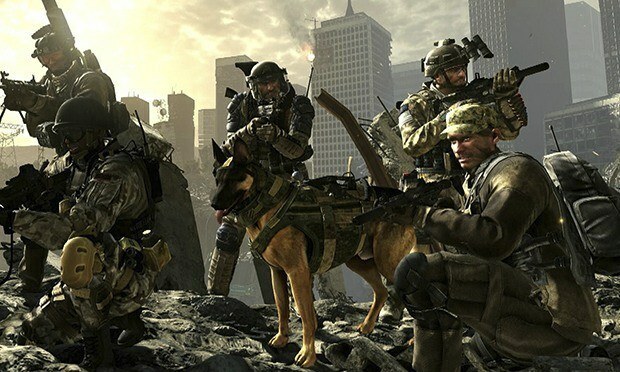 With one to a maximum of four players tagging together to fight against armies that constantly grew stronger –it was a typical co op mode, the likes of which we might see in COD Ghosts. The expected co op mode of Call of Duty Ghosts will come along with the single player as well as the competitive multiplayer mode. It will probably let the players join hands in missions fighting together against one enemy or trying to achieve the same objective. So, whatever Infinity Ward might have in store for us I hope it is something lofty enough for the industry is getting dynamic and even for billion dollar venture like Call of Duty, the developers will have to take some risks, try out new things and may be put in a little more effort that Modern Warfare 2’s co op mode.